714 Broadway St, Homewood, AL.| MLS# 844173 | Richard Jacks UABLIVING.com 205-910-2297 | Birmingham AL Real Estate | Contact us to request more information about our Homes for Sale in the Birmingham AL area. 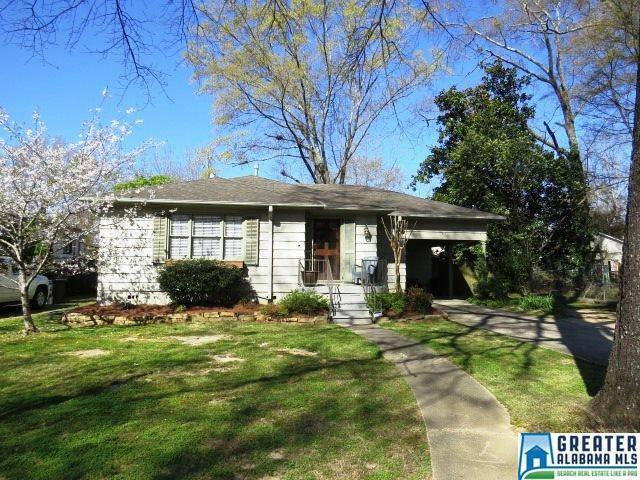 An adorable Homewood cottage has lots of character and decorated to a &apos;T&apos;. Home was was featured in "Cottage Living" in Nov 2007. All one level with 3 bedrooms and 2 full baths. The uniqueness starts as you open the front door into the foyer with a starred light fixture. The living room has built-in bookshelves and large windows for great lighting. It opens to the dining room allowing good flow for entertaining. The eat-in kitchen has stainless appliances, good cabinet and counter space with tumbled marble back splash and pantry. Through the mud room is the laundry room. The three bedrooms are huddled off a large hall/foyer. Master has its own full bath with shower; other 2 bedrooms share the hall bath with tub/shower combo. Fenced backyard has shaded deck and a large storage building with workshop (has power & plumbing). New HVAC and hot water heater. Great location; walking distance to Edgewood downtown strip and cleaners.